Remember that time when I was chasing fall folliage in style driving my Chevy Equinox. Well, that wasn't the only fun thing we did! 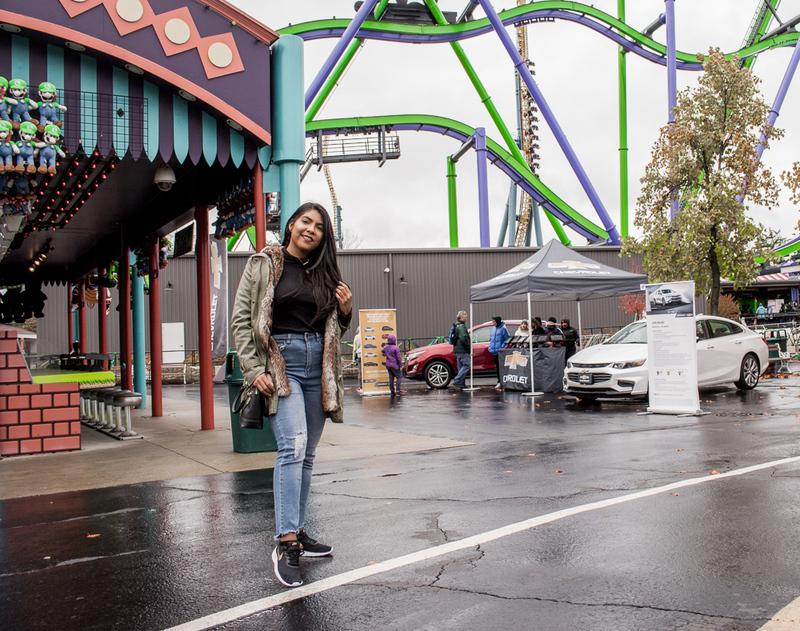 Chevrolet also invited us to visit Six Flags great america during the firght fest to, of course enjoy the park, but also to check out their new 2019 Models. 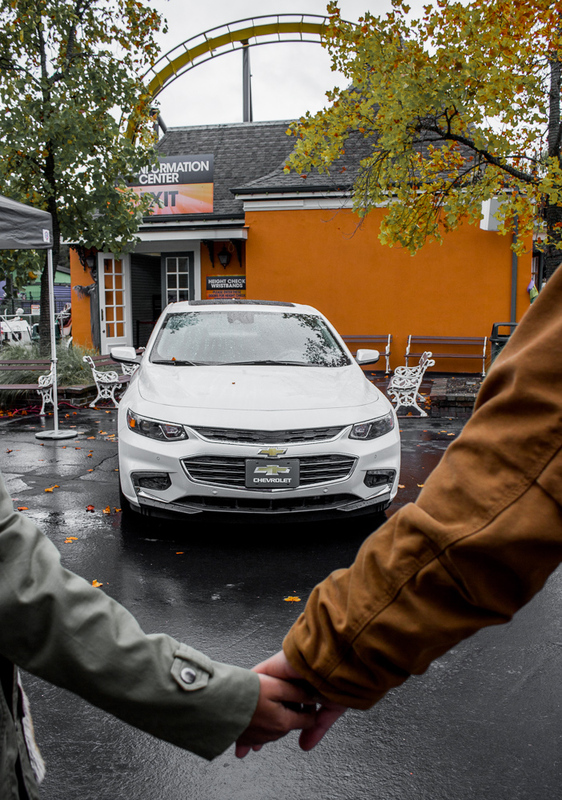 At their stand , they had an Equinox just like the one I’ve been driving and the Chevy Malibu which I was really impressed by its new sporty look and the fact that now it’s also available with an hybrid engine ( just look at my face walking from the stand after checking out the car!) I love a fuel efficient car so I’ll definitely be taking a closer look at this one. 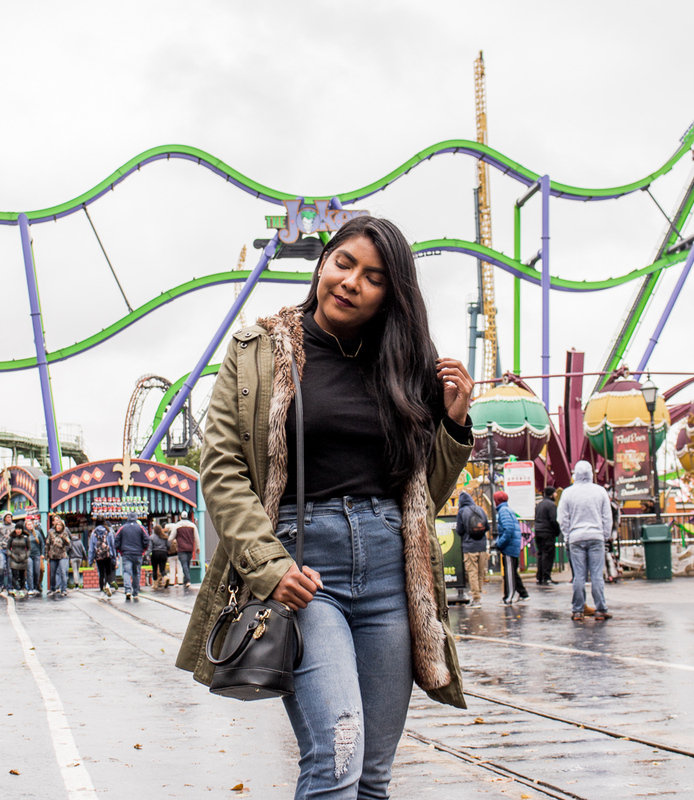 Desiree of fashion lingual tagged along during our trip and she was the best six flags buddy. She not only took all of these pictures, she also jumped on every ride with me and she’s super afraid of heights. If you follow me on instagram you probably remember my instastories from that day , specially this one where me and Desi are screaming at the top of our lungs when riding the Joker. That pretty much summarizes our day. I'm definitely not afraid of heights but I feel like, screaming , laughing and being silly is part of the fun ! 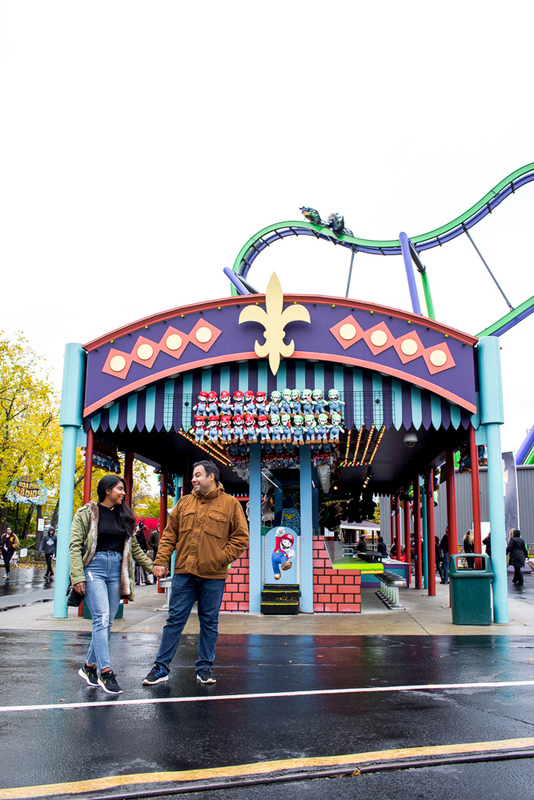 Do you like attraction parks? 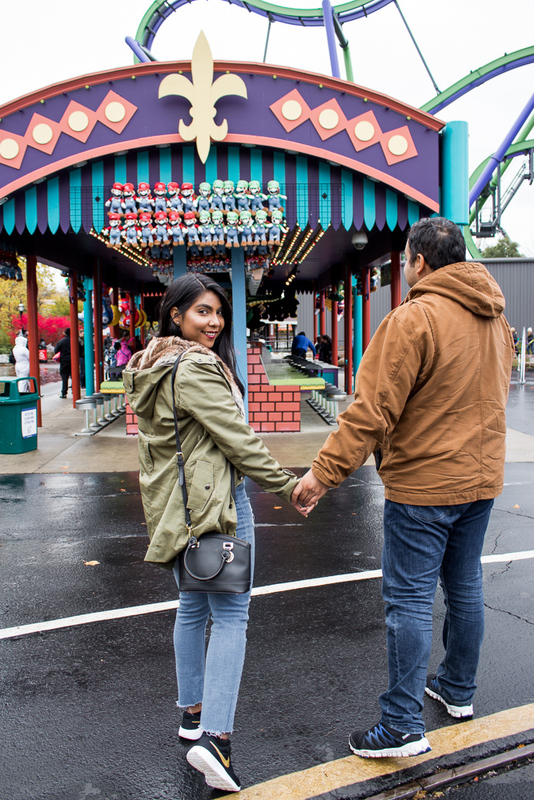 What is your favorite ride? 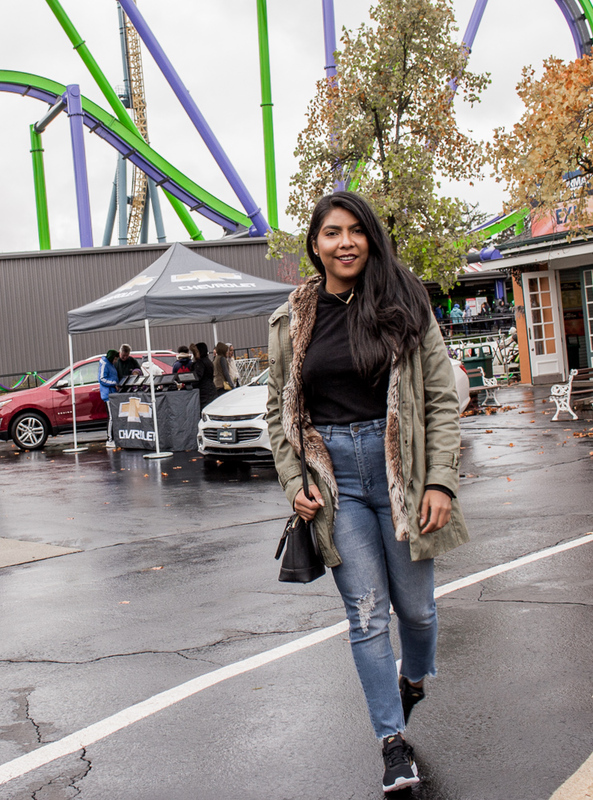 Aparte de buscar lugares cool para tomar fotos en nuestra Chevy Equinox, tambien tuvimos la oportunidad de volver a Visitar Six Flags cortesia de Chevrolet para poder checar los nuevos modelos 2019 y por supuesto disfrutar del parque. Esta es la segunda vez que voy, y ahora me lleve a Desire para que fuera mi copiloto en los juegos. A lo mejor no lo saben pero ella le tiene muchisimo miedo a las alturas y aun asi nos subimos a practicamente todas las atracciones. Si nos siguen en instagram a lo mejor se acuerdan de los videos que subimos a instastories gritando a todo pulmon. Asi mas o menos nos la pasamos todo el dia! 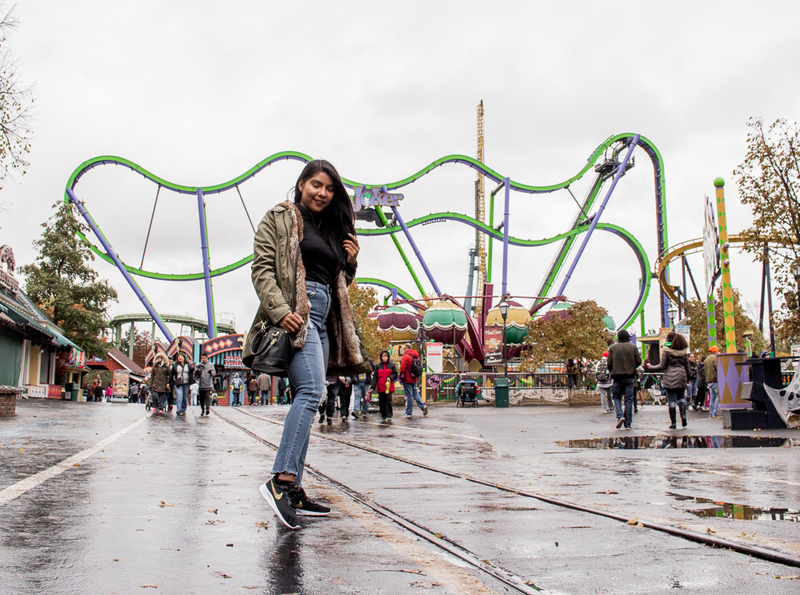 A ti te gustan los parques de atracciones, cual es tu juego preferido?